Tap your well of creativity. Creativity is at the core of everything we do as writers. It is the fuel we need to breathe life into our writing and into the worlds and characters we create. If creativity is a key to writing success, are there ways to enhance and cultivate this quality? Mihaly Csikszentmihalyi, psychology professor, leading expert in the field of creativity and author of Creativity and Flow and the Psychology of Discovery and Invention, believes there are. After years of studying creative individuals in a variety of fields, Csikszentmihalyi found ways we can all access our creativity consistently. 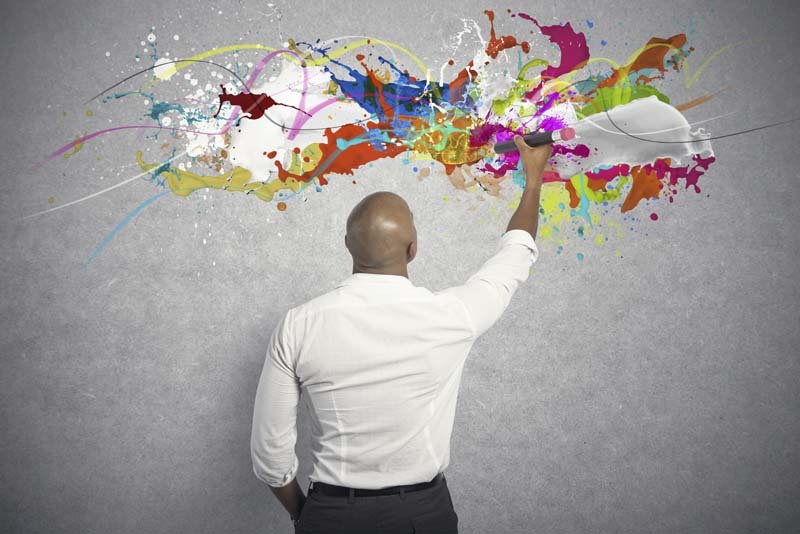 Successful creative people share common characteristics. First, they understand the fundamentals for the profession. To be a writer means learning grammar and proper writing techniques. To become a successfully published author, a writer also needs to learn the rules and procedures for publishing. We can’t show up on publishers’ doorsteps, hand them our manuscript and expect them to read it and publish it. There are protocols that need to be followed. Next, creatives are passionate about their work, yet extremely objective about it as well. A good writer can pour herself into her writing, but then step back, evaluate it and revise it to craft the best work possible. The ability to enjoy the process for its own sake is another characteristic among this crowd. Writers who function at this creative level love to write because they find great joy and satisfaction in the process. It doesn’t mean they don’t want to be published, but the need to express themselves with their writing is first and foremost. While researching, Csikszentmihalyi outlined important components of the process of creativity. Writers typically move back and forth between parts of the process and considering the following qualities may help you optimize your creativity and continue the writing that fuels your passion. During this stage, writers need to keep their eyes open, curiosity awakened and a notebook handy. This is a time to gather ideas and experience new adventures. Andrew McCarthy, travel writer and author of The Longest Way Home, takes this to heart when he is on assignment in a new city. “Sometimes I take copious notes; other days pass with barely writing anything,” he says. “I try to write details of things I see, quotes and feelings. Facts I can get later, once the dust settles.” Here are a few ideas to try. Jot down thoughts about your experiences. Save interesting stories and headlines from the newspaper. Keep brochures and information from places you visit. During this phase, bits and pieces from the preparation phase percolate in our mind. Ideas come together, stories begin to form, characters appear and plots unfold. There are creative tools to help facilitate these ideas. This is the “Aha!” moment when everything begins to come together. We get excited about our idea and want to take it further. This can be the most emotionally trying part of the process, when we feel uncertain and insecure. We wonder if the idea is original enough and worth perusing. We think about who the audience will be and question if we have the ability to make it happen. No turning back. We must write the novel, article, poem or short story. To see it complete, we have to make the time and persevere until the project is finished. Most of us encounter obstacles in our writing life. Distractions get in the way, we are too tired to write or we can’t organize all the thoughts in our head. There are strategies to move past the blockages and be a more productive writer. Writing time needs to be a priority, a non-negotiable part of the schedule. We must honor this time and not look at it as something that can be disregarded. This means setting boundaries with friends and family and clearly letting them know there’s a “do not disturb” sign on this space. It is important to have some down time to recharge and to let new ideas or aspects of current projects roll around in our minds. Set aside or schedule this time as well. Reflection can happen while you’re sitting quietly or doing a favorite activity such as gardening, woodworking or baking. Your writing space should inspire you. A few years ago when I was reporting about feng shui for writers, Terah Kathryn Collins, founder of the Western School of Feng Shui, shared that a productive area is not about being immaculate; it is about having a space that doesn’t irritate, confuse or overwhelm you. Collins said, “Writers are intuitive creative people who work from the inside out. Setting up your writing space should be no different – you should do it from the inside out.” Personalize it with art, photographs and objects that are meaningful and inspire creativity. If you want writing to be a part of your life, examine your current habits and lifestyle and see if there is a way to increase the things you love to do (writing) and let go of, hire out or delegate those aspects of your life you dislike. “It is much easier to be personally creative when you maximize optimal experiences in everyday life,” writes Csikszentmihalyi. And by doing this, you can consciously create the writing life you have always dreamed about. Kerrie Flanagan is a freelance writer and the director of the Northern Colorado Writers group.